Turkish Totalitarian Poobah Erdogan Bemoans “Growing Hostility To wards Islam”……. – The Tundra Tabloids……. 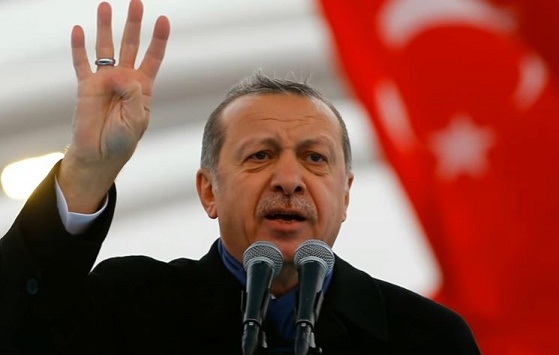 Turkish Totalitarian Poobah Erdogan Bemoans “Growing Hostility To wards Islam”……. It’s a good thing that people are finally waking up to the horrors that Islam represents. President of Turkey Recep Tayyip Erdogan condemned the Friday attacks on two New Zealand mosques and asserted that “hostility towards Islam” was rising as the world watched “idly,” according to a report from the AFP. The attacks, in which 49 worshipers were murdered, were committed by a white supremacist who live-streamed his actions to Facebook. “It is clear that the understanding represented by the killer that also targets our country, our people and myself, has started to take over Western societies like a cancer,” he went on. Previous Post Previous Post Finnish police believe Muslim behind Helsinki honor murder attempt hiding in Sweden…….